They met what seems like ages ago. They’ve grown up into mature adults together. They are parents to two wonderful boys. Their happy family is the role model for their siblings who haven’t got own families yet. 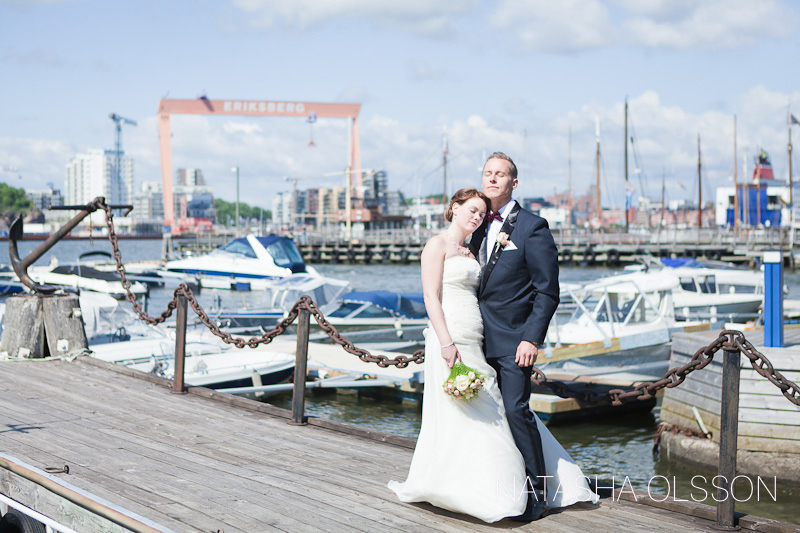 On a warm sunny last day of May together with their family and closest friends Emmy and Christoffer celebrated their love. 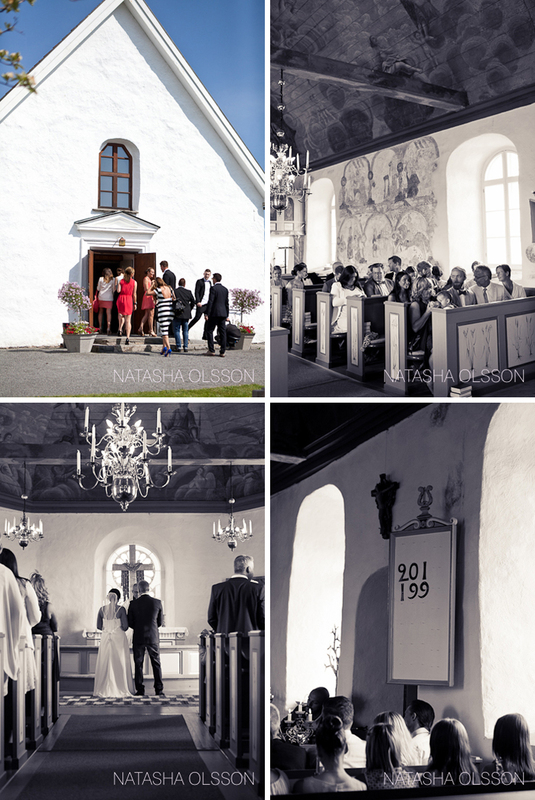 In the small mideval church Stråvalla church among the green summer juicy fields they swore to love each other forever and no matter what. 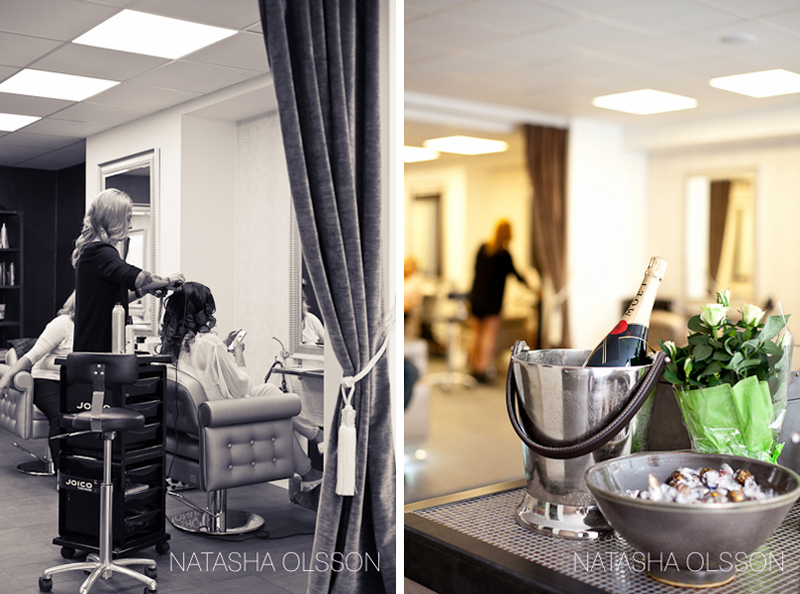 The wedding day started in the cozy Swedish West Coast town of Kungsbacka in the hairdresser salon Hair by Angels. Trendy and personal at the same time the girls at the hairdresser salon did their very best to make Emmy feel and look like a princess. 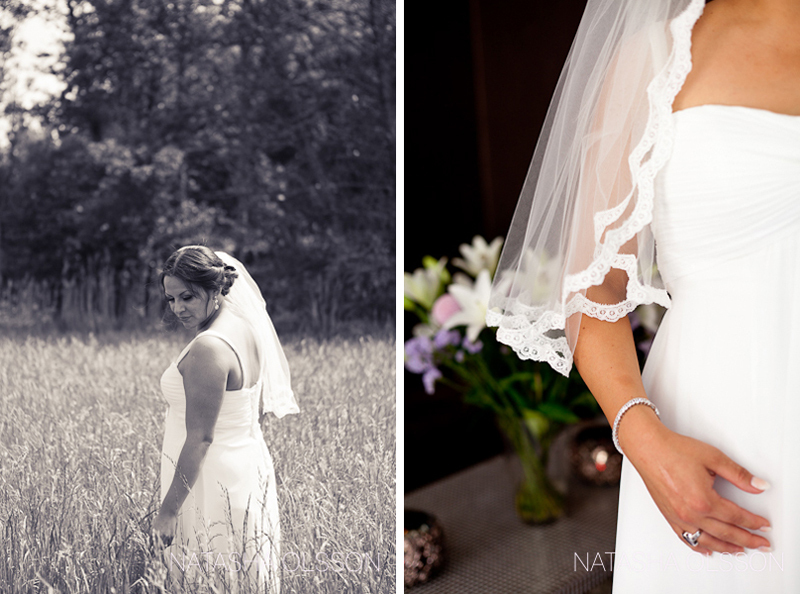 Emmy’s timeless empire waist wedding dress made her to a stunningly beautiful bride. And she was wearing veil – so classic and feminine. 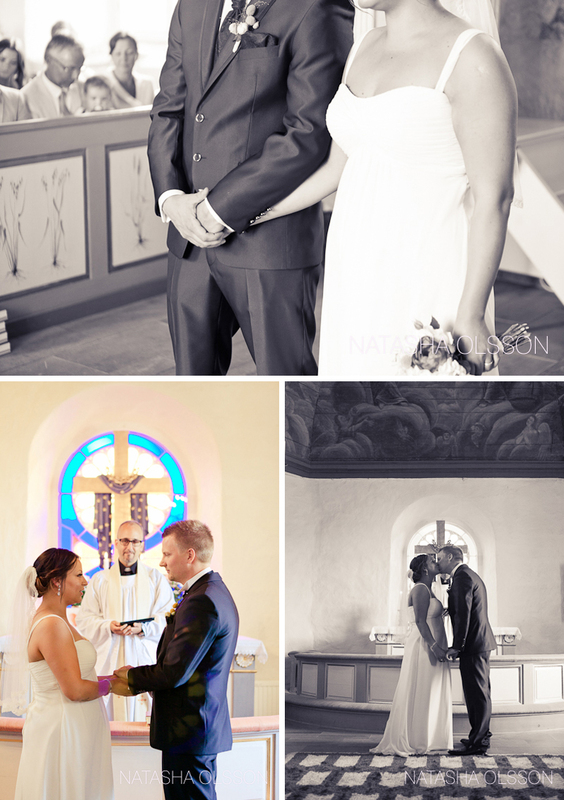 Christoffer and Emmy decided to see each other before the ceremony and opted to take pictures for the First Look. Totally right decision if you ask me! I just say – this look in Christoffer’s eyes filled with so much love to Emmy… I don’t need to get into further explanations why I love First Look! 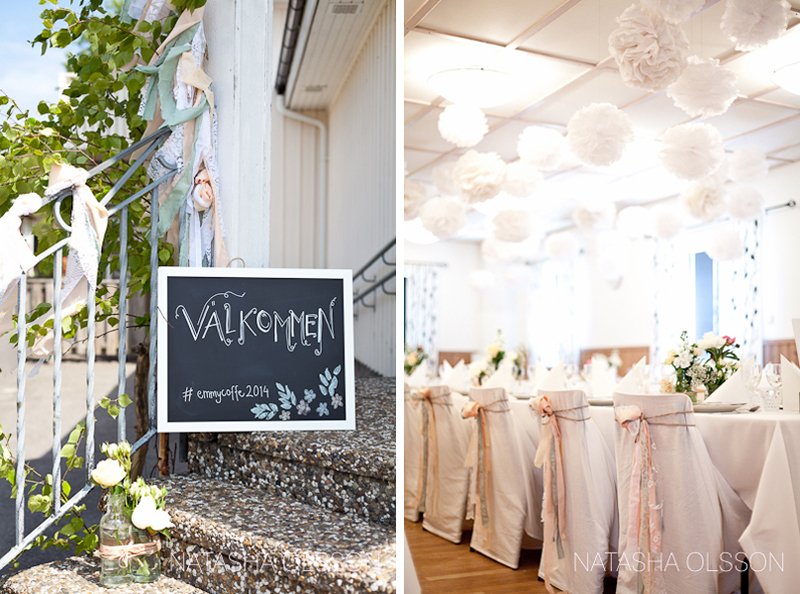 Stråvalla church together with the community club Stråvalla bygdegård where they had their wedding celebration party laid out picturesquely among green fields on the countryside between Kungsbacka and Varberg and this suited perfectly their countryside style wedding. 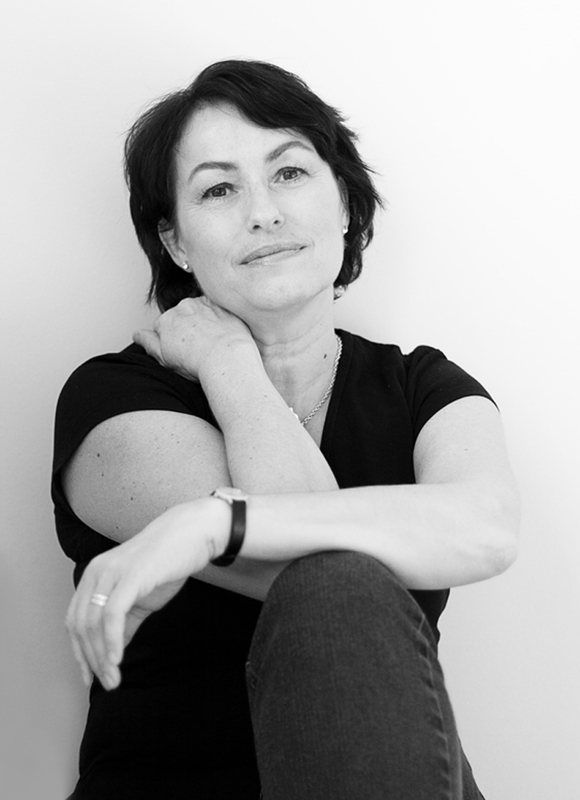 Emmy is a detail freak and natural bourn stylist. 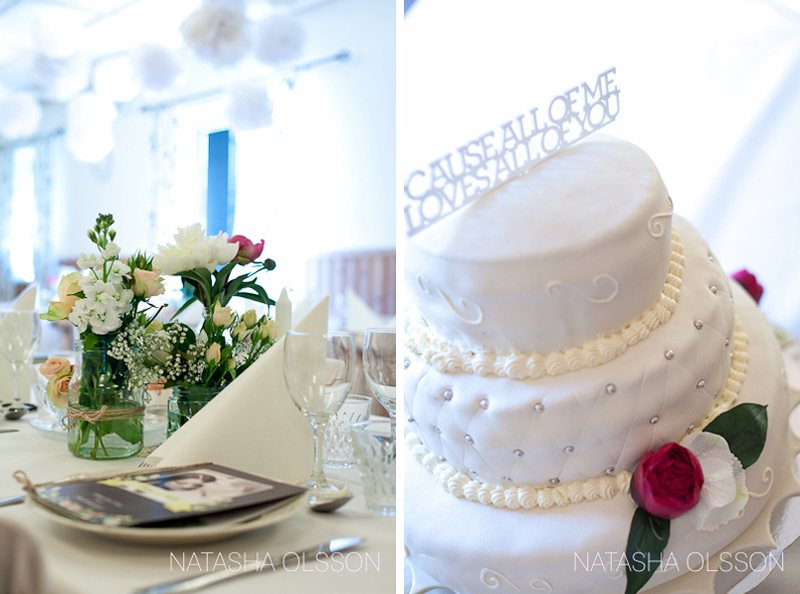 She did an absolutely stunning job on decorations and all the stylish details. 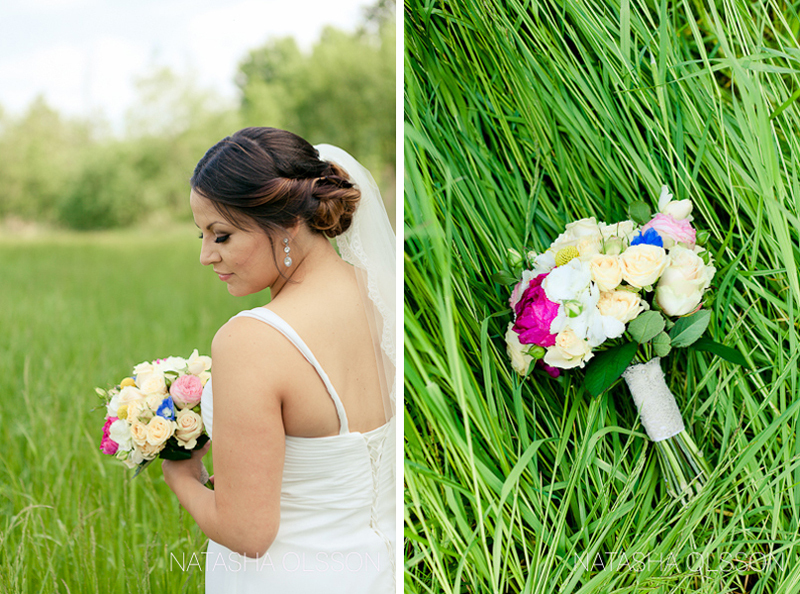 Many thanks to Åsa Blommor och Trädgård for all the flowers and the elegant wedding bouquet. The wedding ceremony was among the most touching I have seen. And when a friend of Emmy and Christoffer sang a very special song for them the moment was so emotional, raw, and beautifully real. The dinner began with emotional and full of pauses speech masterfully delivered by father of the bride. I swear at some point not a single person in the room could hold back their tears. 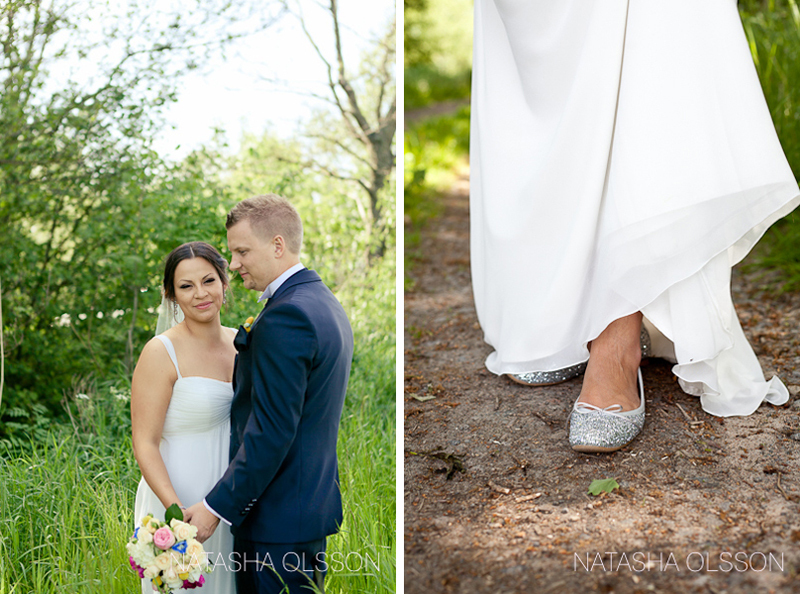 Emmy and Christoffer, thank you for inviting me to document your first day as a husband and wife. Someone during the dinner said that ”you make people feel comfortable and meaningful around you” and that’s how all the guests and I felt from the start to the end of your day. Your love and devotion to each other make both of you shine of happiness. I wish you many years of love and happiness together! 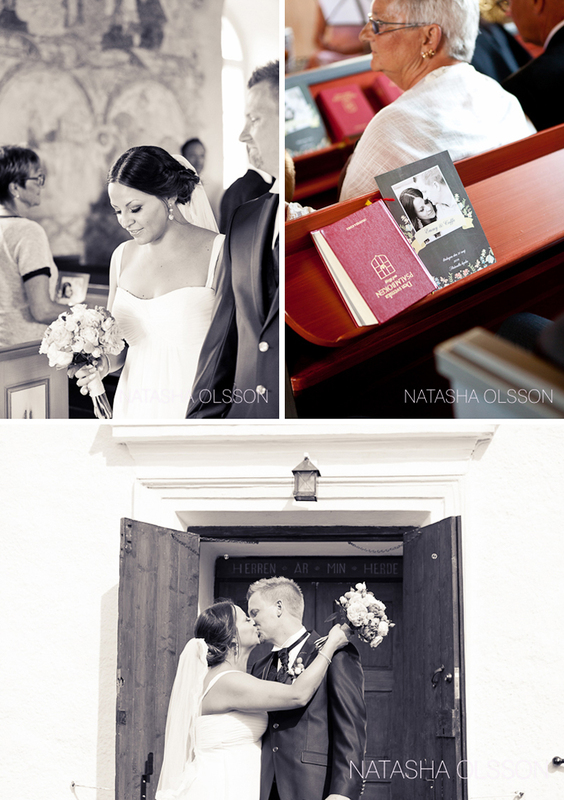 To see more of Emmy and Christoffer’s wedding photos, be sure to check out their slideshow. 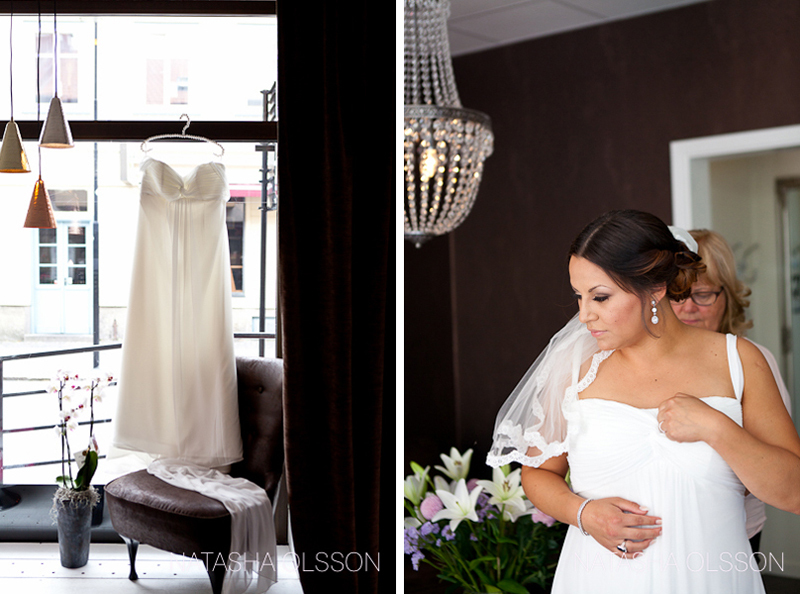 And don’t miss their couple session we did in the blooming Linnestaden in Gothenburg.